For the fourth straight year, residents in Garwood and Westfield, N.J. and the surrounding area were treated to a free family movie night. This year, the event was presented by Spencer Savings Bank, the Greater Westfield Area Chamber of Commerce and the Borough of Garwood. 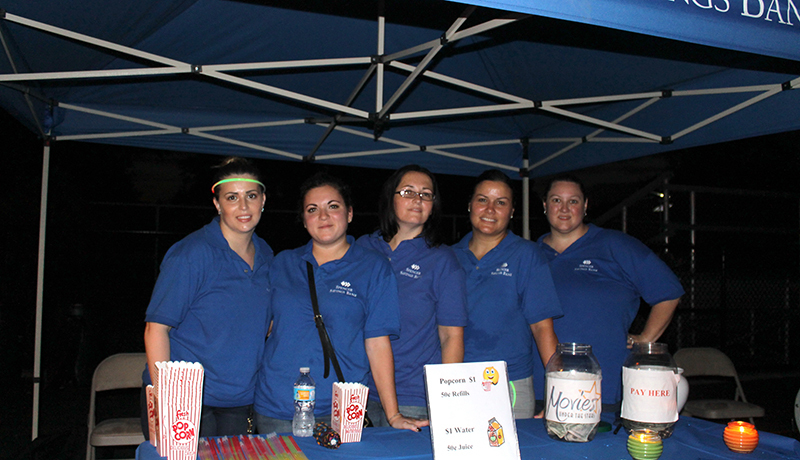 On September 10th, “Movies Under the Stars” was held at the Garwood Sports & Recreation Complex on Myrtle Avenue. Event-goers enjoyed refreshments and freshly popped popcorn, with several lucky raffle winners taking home prizes. At dusk came the main event, a big-screen showing of the hit 2015 family comedy film, Minions. Combining two of the best parts of summer–great weather and going to the movies–Spencer’s “Movies Under the Stars” attract thousands of viewers across Northern N.J. each year. In 2015, roughly 2,000 people attended the seasonal series in Wallington, Garfield, Wood-Ridge, Garwood and Elmwood Park.